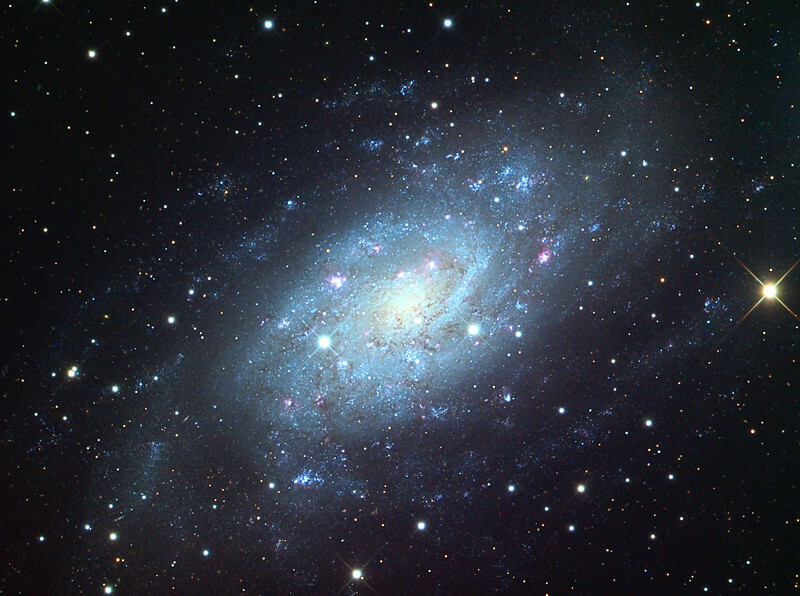 NGC 2403, spiral galaxy. Schulman Foundation 24 inch telescope on Mt. Lemmon, AZ. Local telescope operation and gray scale frames by Adam Block, University of Arizona. LLRGB image processing by JDS.